Elmbuild carried out an extensive conversion to create a Function Room. The contractors were very professional and the whole project was managed by Mr Bruce who was on site daily to discuss options, and solutions to various obsticles which were encountered during construction. Not only was the work completed ahead of schedule, but also under budget. The site was left clean daily which was essential as the Club needed to continue to trade whilst the work was undertaken. I would have no hesitation in recommending Elmbuild. 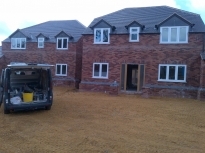 Elmbuild have just finished 2 new build houses for my development company. 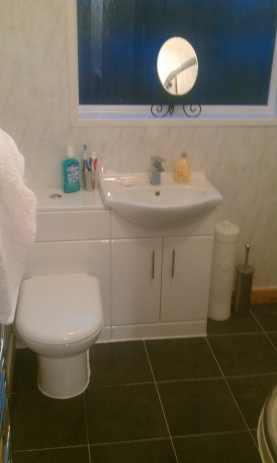 It is not the first project that Elm Build have undertaken for myself. Over the years we have worked together numerous times and always had a very sucessful relationship. Gareth Bruce is very professional in his approach to the projects however l large or small and works very hard to stick vigerously to schedules and budgets. The work undertaken is always to a high standard. There is no question Elmbuild will be working with me on future projects. Elmbuild have completed numerous works for our clients over many years. From the smallest of works, to the more complex, and in every case, their ability and work ethic is second to none. They are very reliable and punctual.